What was the world's first digital, programmable robot? Filed for patenting by George Devol in 1954 (granted in 61 -- US Patent 2,988,237), the first digital/programmable robot was called Unimate and was sold for a $35,000 loss to General Motors the same year its patent was approved. 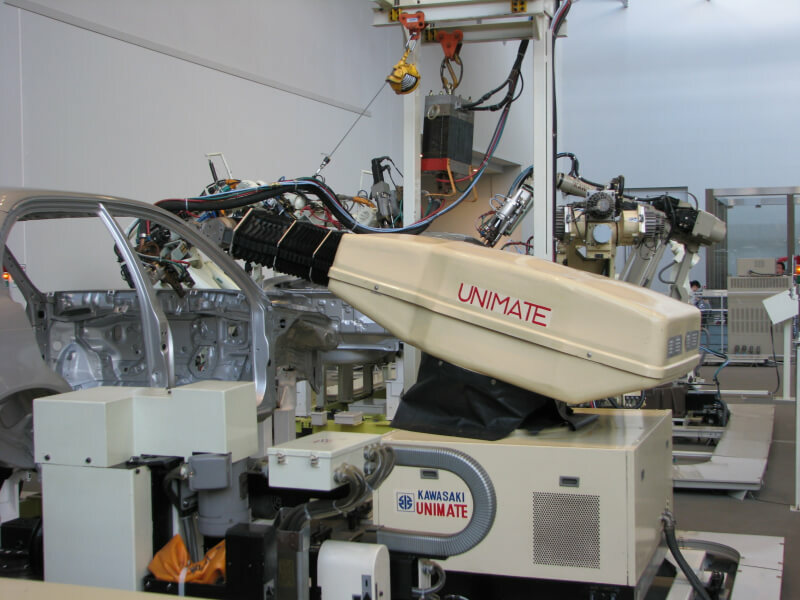 Stationed at its Ewing Township, New Jersey plant, GM used the 2,700lb Unimate to extract die-castings and weld them onto auto bodies. It wasn't long before Chrysler, Ford and other manufacturers sought Unimates of their own and in short time, hundreds of the robotic arm were employed. By 1966, the Unimate entered full-scale production at Unimation in Connecticut and during the same year worldwide audiences on Johnny Carson's Tonight Show watched it pour beer and play golf.